I work at the Internet Archive via the Open Library project but I was a crate digger here long before that. My earliest memories of the Archive are using the Wayback Machine to find old copies of my first web sites (many now lost to 302 redirects) and other memory-holed content. I lived on the West Coast, was fresh out of library school at the University of Washington and used my nascent blog to yammer on about, among other things, all the great free culture stuff on the Web. The old links to my blog still work but the same can’t be said for an incredible amount of content online. The Internet Archive is the online memory for many of us. I use the internet to make the local global, and vice versa. Here are some other things I love at the Internet Archive. My home in Vermont is in a bit of an Internet shadow. This is the good news and the bad news. One of the things this means is that if I want to go hiking or exploring, there may not be a ready online resource I can consult for trail and terrain maps. 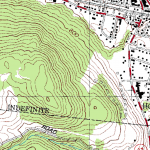 USGS maps are supposedly free but getting access to them used to be complicated if not impossible. 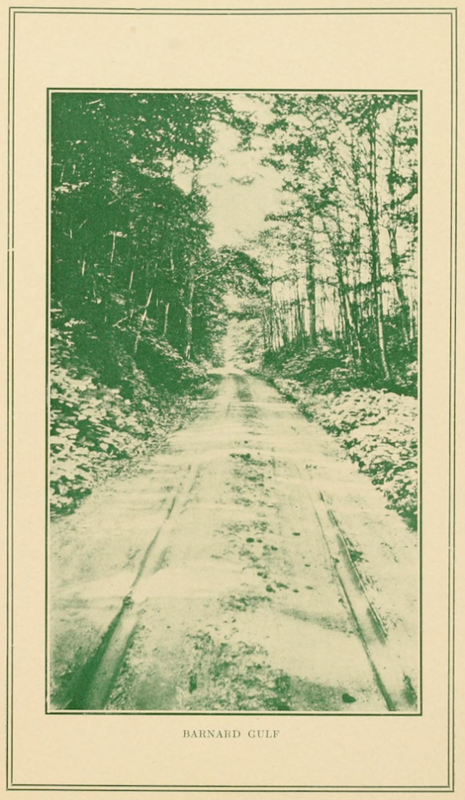 Enter the Libre Map Project where a team of people donated money and time and resources to make USGS maps of all fifty states available and searchable from one central location at the Internet Archive. Oh hey look, there’s a review by me from 2009. 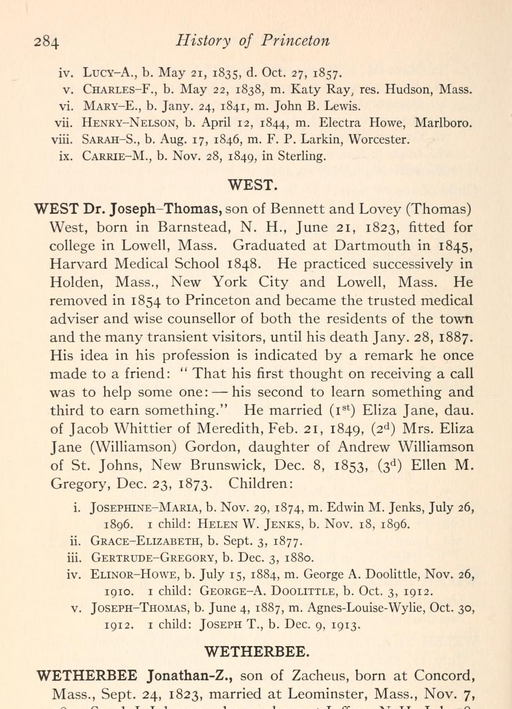 The last Joseph Thomas West listed on this page is my grandfather. Joseph Thomas West IV was my dad. I found this book once before, digging through Massachusetts libraries shortly after college. I had a bunch of its pages stuffed into a folder someplace. It was a joy to find it again. On the other side of my family, my great-grandparents were just arriving in the US at the turn of the last century. Accessing the US Census through the Archive means I could track them as they moved from New Jersey to New York and back out to New Jersey. Morris is my grandfather. In the 1910 census he was six years old. The Archive has a wealth of searchable and downloadable family history books many of which are unavailable elsewhere online. For Hannukah or any time, Matisyahu’s hazzan-esque lyrical reggae rapping is a tonic for a hectic life. Even better to listen to (and easier to embed) with the newer version of the Archive’s site. I keep this on background when I answer Open Library emails and do other keyboard-intensive work. 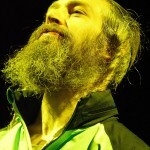 Thanks to Matisyahu for allowing the Archive to store and distribute his music as part of their extensive Live Music Archive. When the BookReader was first released as a way for people to read books online using a book-like interface, it was way ahead of the curve. 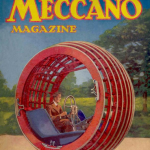 The online reading experience has improved elsewhere but the Archive is still one of the first places I go to find public domain content (books and magazines) to read, share, answer reference questions, or just use in my presentations. So many libraries in North and South America (or Canada specifically) and Africa have great collections at the Archive from the Biodiversity Heritage Library to New York Public Library to the US National Library of Medicine to 13,000 books in Arabic. Comics! 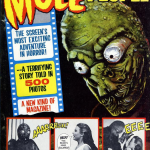 Creepy magazines! Yearbooks! Encyclopedias and dictionaries! And all of it is available for anyone, for free, whenever they want it. 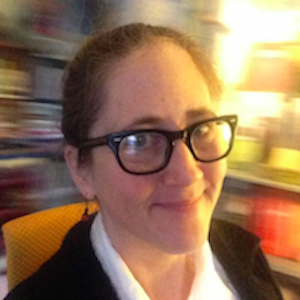 Jessamyn West is a librarian and community technologist. She helps run the Internet Archive’s Open Library project and writes a column for Computers in Libraries magazine. She works with small libraries and businesses in Central Vermont to help them use technology to solve problems. This entry was posted in Newsletter and tagged jessamyn, libraries. Bookmark the permalink. 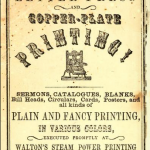 The Open Library is one of my favorite Internet Archive’s projects. I mainly create pages or fill incomplete records for books in Spanish. I am not a librarian, but I have noticed that the catalog of my public library (Málaga, Spain) use the covers of the Open Library’s books. When I share a new cover for a book without cover in the Open Library, appears in the catalog of my library inmediately for everybody. Fantastic! I also use the Open Library with my bookcrossing books. You can create the page for the book and put the BookCrossing ID in the book’s page in Open Library; then you can link it in your blog to talk about the book and your next bookcrossing release. It’s great! It would be good if the Open Library was available in more languages. Thanks for the Open Library and Internet Archive!